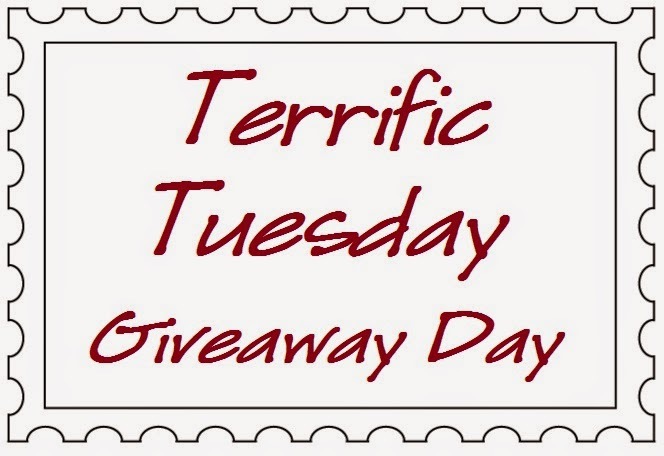 Today's Terrific Tuesday Giveaway is being sponsored by Ollie and Evie. 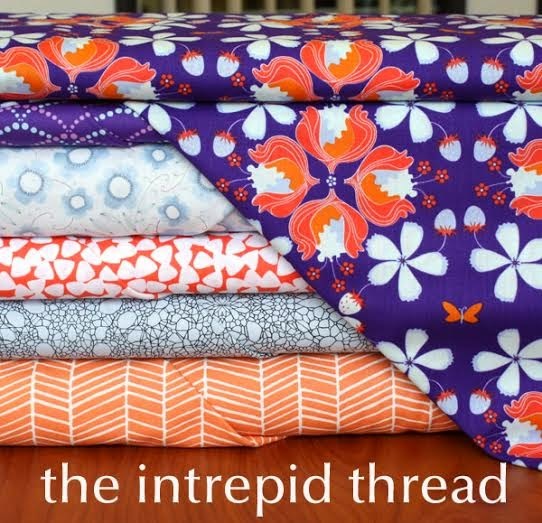 Rhonda has an adorable Etsy shop packed with wonderful pre-cuts and beautiful yardage!!! ENTRY 1 - Simply leave a comment that tells me what you will be wearing today that is green?? ENTRY 2 - Show your Olie and Evie love. You can follow them on Facebook, at their blog, or Favorite their Shop, or you can visit The Shop and then share a favorite item ;) Just be sure to leave a comment of how you showed your Olie and Evie Love!!! I will be wearing a green shamrock- I donot own one green item of clothing! I'm wearing my comfy clothes for a stay at home day. An old t-shirt from the high school my daughters went to. As luck would have it, the letters are green. I didn't even realize it was st. patrick's day. Not wearing any green. I like the Oh Clemintine fat quarter bundle. And it's price! A green t shirt while I"m working around the house today! I just put their shop in my Etsy favorites-they have some great prices on yardage. They have Feed Co yardage in stock as well as some older collections that I've been looking for to finish a project! Since Kelly Green is probably my least favorite color (and yes, I'm Irish) I'm wearing turquoise. Thank you so much for the giveaway! I've been eyeing these rulers for quite a while! Thanks for the chance. Oh Clementine is calling my name. I have an opal ring on today. That's green enough, right? green earrings. thanks for the chance. I am now following Olie & Evie's blog. I've wrapped a green and purple scarf around my neck today. I have the flu and I feel green all over! I follow their blog. Such cute kids. I have a green top on! These rulers are awesome! A green cotton shirt with a rose embossed on it. One of my favorites and getting worn out! I've not used this ruler, but would like to. I had so much fun browsing Olie and Evie so many lovely vintage-y fabrics and the clearance section has some excellent deals. I favorited their shop on Etsy and will be following their blog from now on. Thanks for introducing me to another great shop! I'm wearing green handknit socks today! I have on a green top. Thanks for the great giveaway! Although green is my favorite color, I actually forgot that today is St. Patrick's Day. Maybe I will wear green earrings. Thank you for the giveaway. I follow Olie and Evie on Facebook. I am wearing my green blouse. I have been lusting for these rulers! I just liked Olie & Evie on Facebook! I am wearing a green sweater! I visited the shop and I'm loving those Elementary Equations prints by Sweetwater for Moda! I always fall back on my eyes being green -- technically hazel. I currently am wearing pj pants with green in the floral print. It's turned cold again, so I'm going with a green sweater. I am wearing a green shirt to bring out my green irish eyes a smiling. I was born an O'Brien so I wear green very proudly today! I remember as a child being pinched for wearing green when I am not Irish, so I will not wear green. But I will probably eat something green! New follower of OliE & EviE! I'm wearing a skirt that has flowers and green leaves on it. Thanks for the giveaway! I follow Ollie & Evie on FB. THANKS! Oops I forgot so better go put on my shamrock pin! I have added Olie and Evie as one of my favorite shops! I have a favorite green scarf that I'll wear today, but I always have my emerald engagement ring on. I'm wearing a green sweater and green socks. No green for me today. I don't plan on leaving the house so it is just me and my longarm. And he had better not pinch me! I am wearing a green top with matching bracelets and beads! I would love to win this! I have added them on my FB page! I'm wearing a green top.. I've added them as a favorite shop!!! I'm wearing a green t-shirt. I even have earrings to match...whoo-hoo! Thanks for the opportunity to win. Ooops! I forgot to wear green! But i am cooking Corned Beef and Cabbage tonight. following Olive and Evie on fb. Errr, there may be a bit of green on my underpants?! I have a short sleeved top with green in it. A green shirt, & a green pipe cleaner thing made by one of my kiddos! :) happy st paddy's! I will be wearing a green shirt with the alien's from Toy Story on it. Thanks for the giveaway! I liked Olie and Evie on Facebook and favorited their shop. Thanks! Green top & earrings and eating lots of green veggies! Wow, anything that makes triangles fun is for me! I forgot to put I green but I could go change clothes! I forgot to wear green-I've been pinched more than once! , I followed Olie and Evie on Instragram-so much fun! I'm currently not wearing green because the only green I own is two crappy t-shirts i try not to wear in public. Since I homeschool, I've elected NOT to introduce the pinching thing to my kids yet. However, since I have a meeting with the girls at church later tonight... I'll be painting my nails green and wearing a green necklace I have. I have on a green top, green pants, green bracelet and my sneakers have green soles and laces. Thanks for the chance! Well my bed quilt has some pretty greens in it>I wore it all night>LOL! Well, I was going to wear a green sweater, but I had to wash clothes at the laundromat this past weekend (my washer is busted) and when I went to put the sweater on there was a large grease stain across the front. Sigh. So no green for me today. Happy to follow Olie and Evie on FB ! I follow Ollie and Evie on FB. Thanks! I have green toenails to match my "Alien" green Kia Soul. Is it really Novemeber 24th when the giveaway closes? LOL. Thanks for the chance to win! I don't own any green clothes. Does a teal bra count? I've only used bloklocs once, but they are fabulous. I'm wearing a green sweatshirt today, as it's still fairly chilly and breezy in Indiana. Thanks so much! I'm sporting a shamrock pin today! I will be wearing my green t-shirt. I like the Lexington Jelly Roll by Minick and Simpson. I love blue and white! I'm wearing a green shirt today. I keep hearing about the Bloc Loc rulers and would love to win your giveaway. Today, I'm wearing a spring green cashmere sweater and a dark green jacket–I'm Irish ... can you tell? I love Olie and Evie's selection in their Etsy shop ... especially the Figures layer cake from Zen Chic. I follow on FB. I've tried the Bloc-Loc rulers and love them. Can't wait to get some for myself. I am wearing a green blouse and have green in my socks. Do I get extra points for making St. Paddy's Day cupcakes? Tonight when I go to see some Irish folk singers, I'll be wearing a blue-green knit top! Thanks for introducing me to Olie and Evie. Besides the great Bloc-loc rulers I would love to try. The amount of text fabric is great. I especially love the Passport New York fabric. wearing green and liked on Facebook Olie and evie. Could really use some rulers to help my quilting. I will be wearing a green rugby shirt courtesy of my husband! I'm wearing my favorite green and white paisley t-shirt! I have tried these rulers at a demo and loved them. I was only able to afford 1 size at the time so more now would be terrific! I don't have a lot of pure green clothing, but I am wearing a multi colored blue/green/grey print shirt. I think I'm safe from being pinched! :) Thanks for the chance! I am wearing a green shirt! I visited Olie and Evie's shop. I really love that Feed company line by Sweetwater! I'm wearing an ancient green sweater because it turned cold here again! I don't have many tops or accessories that are green, but my light winter coat is a bright clover green and I am wearing it today!! I am wearing a green t-shirt, and I now have green glitter all over me after volunteering at my son's school! I like Olie and Evie on FB!! Never thought to put green on this morning!! Oh my.... I forgot to wear something green today... just home in my sweats sewing a beach tote for my friend's birthday ! thanks for this great giveaway ! I like there shop.........I would choose one of the many precuts. I completely forgot to wear green, but luckily I have my MQG pin on my tote bag and so I put it on my top to be green compliant! Nice fabrics on Olie and Evie etsy shop. Thank you. I am wearing little green shamrock earrings! I am now an Olie and Evie follower on FB! I'm wearing a green and white striped shirt. Thanks! I have on bright green socks with shamrocks on them. Top of the morning to you!! I'm wearing a green John Deere t-shirt! I'm wearing a green shirt and a green and white vest. And this morning when it was cool I wore a shamrock print fleece scarf. The Miss Kate Layer Cake by Bonnie and Camille is lovely! I'm wearing a green dress today, thank you for the chance to win! I like the selection of Riley Blake: Witch Hazel and Rockets and Dots... Oh my! ;) Thanks for the chance to win! I'm wearing my daughter's school pride shirt -- a green dragon! Well I have nothing green that fits today and that is upsetting because Green is usually my favorite thing. Of course I am wearing a green shirt today, in honour of my Irish roots. Those rulers look interesting. Thanks for the opportunity! I'm wearing a leaf green and white print knit top today! I'm following Ollie and Evie on Facebook! I really need those rulers. I follow Olie and Evie on Insta and FB. I am wearing a green jacket today. I follow Olie and Evie's blog. what a fantastic gift! Thanks for sharing and organisation!!! I've got on my lime green shirt for the day. The focus on pinwheel kit looks fun! I like the Figures print by Zen Chic in their shop. My green wardrobe is sadly lacking so I'm going with green socks. I love the Pat Sloan "One for Me and One for You" batiks! I'm wearing green hand knit socks! Homemade bird print dress - sadly no green at all! The only green I have on me is some green ink in one of my tattoos!!! 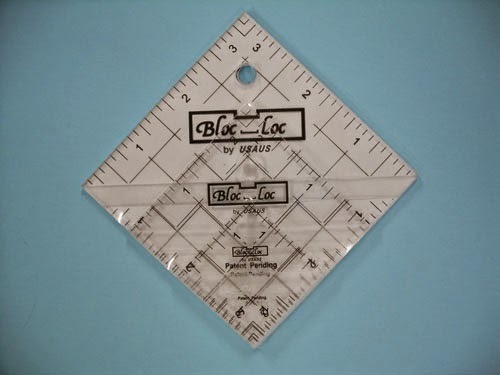 I've been dying to try out those new Bloc Loc rulers!!! I am wearing a green blouse today. Thanks! I love their huge selection of clearance items. Thanks! I am wearing a green and blue shirt with jeans. I visited their shop and like the great selection of fabric. I am wearing a green hoodie. I love bloc lock rulers. They have saved a few of my projects. I'm "wearing" a lot of green painting dots all over my jeans. The newly painted chair looks great. I'm wearing a green, grey and dark pink tunic, but green is the predominant colour. Quite by accident; although I'm a Celt, I don't have a single drop if Irish blood in my veins. Sorry! Green undies...sorry for the TMI! Great giveaway! I have been wanting to try these. I have green socks on today. I'm wearing green socks. Does that count? I follow Olie and Evie on FB. I already knew their shop and I still like the Quick Curve Ruler. I am wearing a green tank top:-) I love warm weather. I follow Olie & Evie's blog and I will be favoriting their shop as well. I follow Ollie & Evie via blogger and Instagram. I have on a top with lime green in the print! I am 1/4 Irish and proud of it! 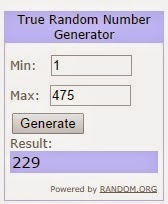 Thank you for the very generous giveaway!! I checked out their shop and found Winterlude Script! I'm a sucker for printed words. It just blends together with your project! So nice. Thanks for the giveaway! Id love to have that Loc Bloc set! I had to spray a green streak in my hair, just to make it fun! I'm wearing emerald earrings! Happy St. Pat's Day to all! Today is a very special day for me...I met my husband 27 years ago on St. Patrick's day. I have a wonderful green sweater I will be wearing when we go out to dinner to celebrate! Happy St. Pat's to you. I liked Ollie and Evie on FB and visited their Etsy shop. My dad always said I do not have to wear green as I always have my eyes which are green! I love the precuts in their shop - the Miss Kate Layer cake is nice! I wore a scarf with a wee bit o green in it.